The estimated additional revenue from the new Inland Revenue Bill is Rs 45 billion, Finance and Mass Media Minister Mangala Samaraweera told Parliament today. The Minister moving the new Inland Revenue Bill, that introduces a new income tax structure with the aim of raising the state revenue by closing existing loopholes in revenue collection, stated the new provisions would come into effect in two phases. The provisions related to income taxes will come into effect from October 30, and the legislation will be fully implemented from April 1, 2018. The Minister said parallel to this move, the Inland Revenue Department, Customs Department and the Excise Department would undergo a series of important modifications next year. He said the Government intends to introduce ‘a universal tax file number’ to every citizen over 18 years. However, he clarified that it no way means that every citizen over 18 years has to pay income taxes. “If you have no income, you can mention that. They will be entitled to a number of other privileges too,” he said. The Minister said the new Inland Revenue Bill was based on four main concepts, “burden proportionate to ability to pay, certainty, convenience and efficiency of collection”, adding that Government hopes to achieve its revenue targets without burdening the low and middle income earning people. He said the new legislation has provided concessions and tax exemptions to Small and Medium Scale Entrepreneurs and many other needy sectors including the exports, agriculture, IT, education and tourism etc. He said the employees who earn salaries less than Rs 100,000 per month have been exempted from the PAYE tax. He pointed out that senior citizens have been exempted from income tax for the interest they earn up to Rs 125,000, adding that a person should have at least Rs 15 million deposits to earn the above mentioned interest. Samaraweera, expressing his confidence that the new legislation would create a level playing field for all, stated international best practices have been incorporated in its making. According to the new Bill, high income earners are liable to pay the Capital Gains Tax, and higher rates of Corporate Tax apply for liquor, tobacco, and betting and gaming. 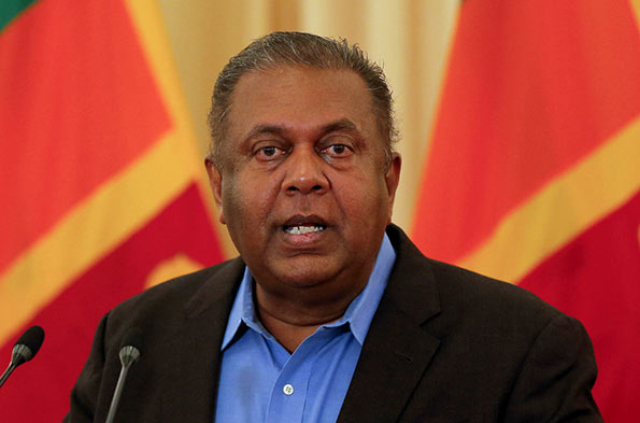 Samaraweera reiterated that the main aim of the new Act is to up the state revenue by focusing more on direct taxes while reducing the dependency on indirect taxes. “Currently our revenue from direct taxes stands at only 2 percent of the GDP. Ours is the lowest in the region. Sri Lanka is precariously positioned due to gradual drop in state revenue from 19 percent of the GDP in 1990 to 10 percent of the GDP in 2014. However, we could raise it to 15 percent of the GDP during the last two years. Our aim is to increase it up to 20 percent in the next two years, with the help of new Act. We aspire to change the indirect to direct tax ratio from the present level of 82:18 to 60:40 by 2020,” the Minister said. He noted the penalty for tax evaders would be increased in the near future, adding that provisions would be introduced shortly to expedite taking legal action against them. “We have proposed a very transparent and efficient system of revenue collection incorporating modern taxation concepts,” he added. The Minister pointed out Sri Lanka is ranked number 158 out of 185 countries as per the ‘Ease of Paying Tax International Index’, adding that the country must strive to improve this to enhance investor confidence. Bringing out statistics on poor commitment of the affluent to pay taxes, the Minister said that only 43,900 companies and 119,300 individuals have registered in 2016 to pay taxes. “Even among those registered only 30 percent of the companies and 48 percent of the individuals pay the relevant taxes on the due date,” he remarked. Referring to an Income and Expenditure Survey of 2012-2013, Minister Samaraweera pointed out the richest 20 percent of the country shared 52.9 percent of total household income, where as the poorest 20 percent only shared 4.5 percent. “There are well-off tuition masters, lawyers, large scale businessmen and doctors who engage in channel service who do not pay income taxes properly. This has to change,” he insisted. The Minister said that the Government hopes to replace the existing Customs Ordinance that was introduced in 1860 with a new one to suit the modern time. Nothing is certain but taxes and increases every year to balance the budget , where revenue is lost by total corruption in the country, especially in award of tenders and over invoicing.